Get happier animals that thrive with people – learn the foundations of animal training! If you’re a pet owner, working professionally with animals or even teaching about animal training, this is for you! Are you afraid that the new puppy is going to develop annoying behaviour – excessive barking, pulling on the leash, or jumping on people? 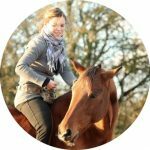 Does your new horse avoid you? Does your cat hide under the bed when you bring out the crate to go to the vet? Does your dog listen to you at home, but ignore you and run off to chase squirrels once you’re in the park? Do you find it difficult to communicate about animal behaviour, learning and training to the people around you? Successful animal training will help improve your relationship to your animal, reduce fear and stress, and empower the animal to take an active part of his own care. But, in order to train effectively, you need to understand why animals do what they do, communicate what you desire and motivate them to go along with your suggestions. I can help you achieve that. We’re all on a learning journey. I’m an Associate Professor of Ethology, passionately helping animals thrive with people. I used to be late for school as a kid. My mother was mystified, because she sent me off with plenty of time to spare – and yet, 8-year old Karolina would invariably arrive at the classroom door after the bell rang. So, mom decided to tag along to see why a 12-minute walk took almost half an hour. And she realized that I stopped to engage with all the critters in the small patch of forest that I passed on my way to school. “Look mom, a dead mouse baby!” I exclaimed, pointing to a small shriveled silhouette half-hidden among the leaves. My mom loved telling this story, relating her frustrations with all the bugs and birds I showed her that morning. She told me to stop looking around and start walking (more like striding, actually), so that I could get to school on time and get down to the serious business of learning. But the thing is, I was learning. About habitats, behaviour, contexts. Well, that’s a sweet story, Karolina, but how is it relevant here? Well. I was on a learning journey. And my mom was unaware of it. Our animals are also on learning journeys. And we, their guardians, are often ignorant of the fact that they’re learning in the first place, or what they’re learning – or that we can influence what they learn. The cat visiting the vet is on a learning journey. 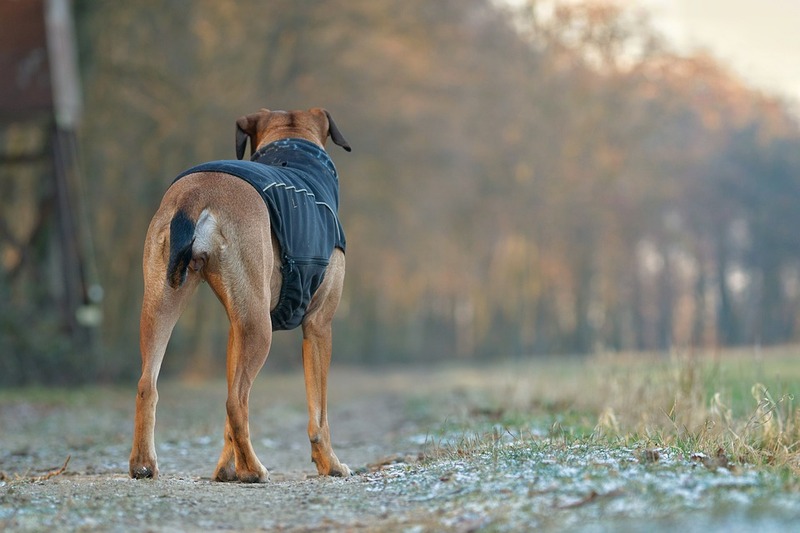 The dog, meeting another dog while out on a walk, is on a learning journey. The horse, being ridden by a new rider, is on a learning journey. 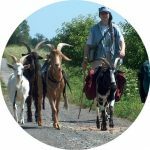 Is the animal trotting down his learning journey on his own – or have you stepped in next to him? Typically, it’s not until the animal becomes fearful, aggressive or destructive that we start wondering where they might have picked up that undesirable behaviour. And once that’s happened, veterinary consultations, hiring a trainer or behaviour consultant to help address that problem behaviour could easily cost thousands of dollars. On the other hand, being aware of, and indeed in charge of, the animal’s learning journey can help you avoid those expenses, the worry and the guilt. The passionate interest in animals has stayed with me, and I’m still on that learning journey. 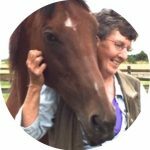 I’ve poured over different scientific disciplines with regards to animal behaviour, learning and welfare. Attended countless conferences about enrichment and training. Written more than a dozen scientific papers on those topics. 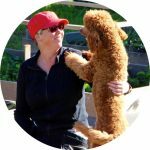 I’ve spent more than 20 years teaching about why and how animals do what they do, and what we as animal caregivers can do to get happy animals that thrive with people. How we can help guide animals through their learning journey. How we can take charge of what the animal learns. 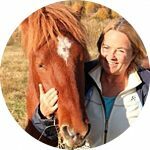 I created the self-paced online course Getting Behaviour in order to teach soft, gentle and fun ways to get enthusiastic and willing learners. My students learn what modern animal trainers are doing to help animals adjust to living with humans! How will the getting behaviour course change your life – and that of your animal? You’ll learn why animals do what they do, so that you understand them better. You’ll learn how to go about teaching animals useful behaviours that help them thrive living with people. You’ll learn about the most humane ways of achieving behaviour change, resulting in eager and confident learners. You’ll be able to prevent the development of problem behaviour. You’ll be able to help make visits to the vet be something you and your animal look forward to. You’ll improve the relationships that you have with the animals in your care. You’ll get the confidence to address your animal’s behaviour yourself – and help your neighbours, too! If you’re teaching about training, you’ll get happier clients who refer you to others. 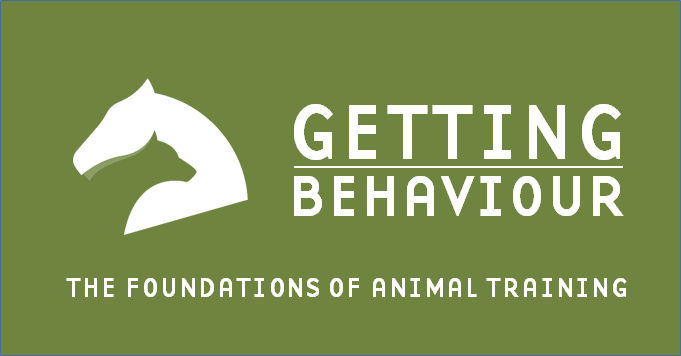 Getting Behaviour is for three types of pet owners and animal professionals. This course is for you if you never intentionally trained an animal. It’s a beginner’s course –and it will open the door to a new universe! 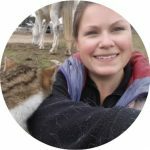 This course is for you if you’re training animals but don’t really know why sometimes things work out and sometimes not. In this course, you’ll start understanding how learning impacts behaviour, and how to most successfully communicate with and motivate the animals in your care. This course is also for you if you teach others about animal training. You’ll pick up ideas about how to teach and encourage your clients more effectively. “First, I have to say that without exception, I have enjoyed this course more than any other that I have taken…. Once you sign up, you’ll get immediate access to the first module. The other 9 modules will become accessible with weekly intervals – so full course access to all the material happens after 9 weeks. This course makes the most out of the online format by using micro-learning: the content videos are short and actionable (5-15 minutes long). The course modules are prerecorded and you can watch the videos anytime. There are 10 modules (100+ videos) in the course, and they require about 13 hours of engagement in total – but many students return again and again to the videos, spending much more time than that revisiting the material. All videos are subtitled in English – this makes it easier for the many non-native English speakers among the students. There are some voluntary practical exercises and thought-provoking questions, but no exams. Many students will take an active part in this course and help shape it! This peer-to-peer learning in the comments’ section is one of the most exciting and rewarding aspects of this course! There are written summaries and audio files that you can download and keep. You have access to the course for a full year after purchase. You’ll be invited to a secret Facebook Group, where you can connect, share and discuss with other animal lovers – with continued lifetime access! If you have use of Continued Educational Units, the IAABC gives 13 CEUS for this course. Let me know is you need any other organization’s CEUs! After you finish, you get a certificate of completion and a banner that you can display on your website. The first Wednesday of every month, there’s a Bonus Live Q&A Session, where you can submit your questions and have them answered. Each live session is recorded and may be viewed until it is replaced by the next live broadcast a month later. By engaging in discussions, sharing your own training videos and helping each other problem solve – you’ll learn heaps! If you work your way through this course and start making use of the content, life with animals will never be the same. That’s priceless. Yes there is, every three months I give a number of students free access to the course. Check it out and apply here. The course is called Getting Behaviour – and that title has double meaning. It’s about “getting” as in understanding why animals do what they do, and also as in communicating and motivating them to do what you desire. So, your understanding will grow, and so will your ability to communicate and motivate. If your animal chooses not to comply with your wishes, you’ll understand why. 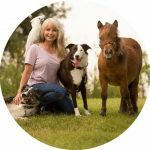 This may sound counter intuitive, but you’ll actually become a better dog trainer (or horse/cat/parrot trainer) by learning more about how to address and solve the challenges involved in training other animal species. This requires flexibility, which is one of the most important qualities in a great trainer. If you sign up and later feel that this course is not for you, there’s a 30-day refund policy. 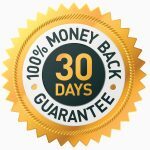 You’ll get your money back – guaranteed! This means that you can actually get free access to half the course content, since 5 modules are released by day 30. 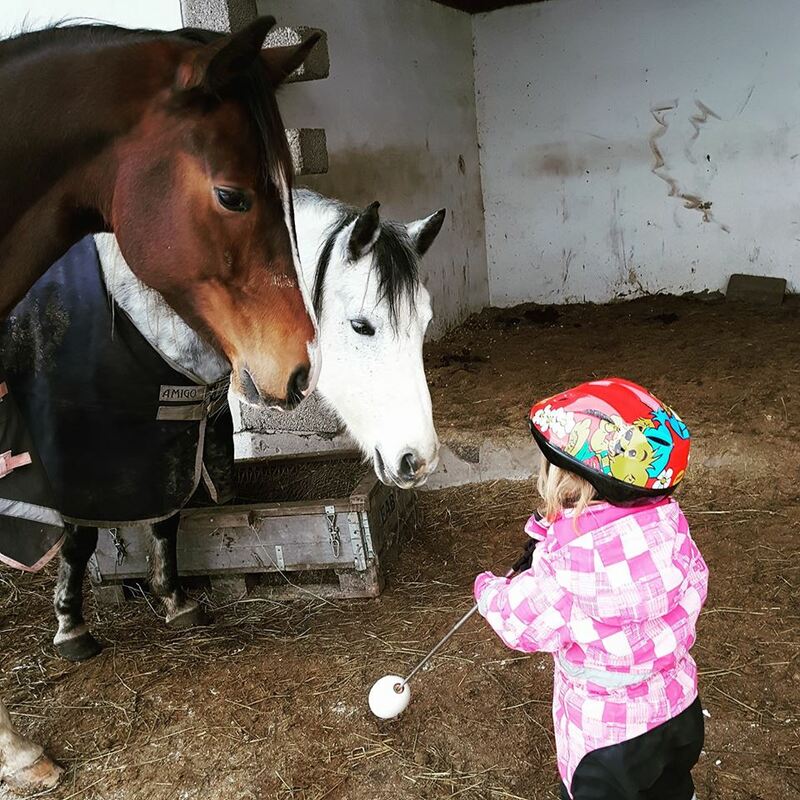 Teach your children the modern way to communicate with and train animals. 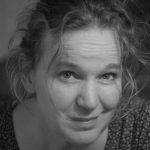 Photo: Anne Dirksen. The price of the transformational Getting Behaviour course is US$347:- plus taxes. If you’ve read this far, you’re now at a decision point. The animal can continue trotting down his learning journey on his own, or you can step in beside him. Build great relationships with the animals in your care. Make them happy and confident. Soar as a trainer – join us by clicking the button below! I have been a volunteer Puppy raiser for Guide Dogs for over 10 years. I have obtained knowledge through webinairs such as yours, joining groups on Facebook and general surfing. I have, recently, been given a few dogs through my hands who were exhibiting behavioural problems and successfully got them into college to complete formal training. I could not have done this without the kind intervention of a local trainer who invited me to her class, even though the dogs were above age and a behaviourist who provided invaluable advice. This has wetted by appetite even further to gain formal training. I was recently approached with the suggestion that I could do more, by passing on my skills to other volunteers. This course would give me the knowledge and ability to accept the new voluntary role. Bonus Q & A webinars! 01. Training - fun for everyone! 02. What is training - and behaviour? 03. Why do we behave? 06. Why bother with training theory? 01_Why does the dog sit when asked?